Questions about drinking, storm or waste water issues? 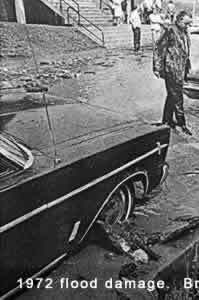 Read more about the storms and floods of the early 1970s in this booklet [8 MB file]. EPA’s National Stormwater Calculator is a desktop application that estimates the annual amount of rainwater and frequency of runoff from a specific site anywhere in the United States (including Puerto Rico). 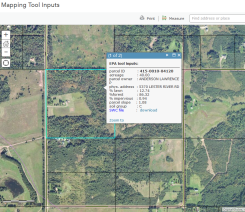 The user supplies information about the site’s land cover and selects the types of low impact development (LID) controls they would like to use. Intended users? Anyone interested in reducing runoff from a property, including site developers, landscape architects, urban planners, and homeowners. The MIDS calculator is a tool designed to quantify reductions in post-development runoff and pollutant loading using a variety of Low Impact Development practices. This graphic user interactive tool allows individuals to enter a project's site contitions and determine the amount of stormwater volume retention needed and the pollution loading (sediment and phosphorus). The calculator then provides a method to enter the users stormwater practices of choice and calculate the amount of stormwater volume and pollution reduction they can achieve. 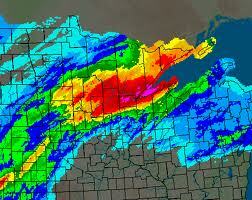 During storms, much water runoff enters the storm system from developed areas. 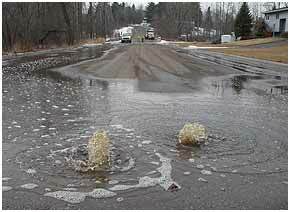 The runoff picks up pollutants originating from motor vehicles and lawns and often carries them to streams and lakes. 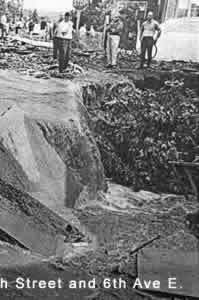 To address this concern, the EPA enacted new regulations in October 1999, known as the EPA Phase II Storm Water Rule. Follow our link to your community’s website to find out more. I&I stands for Inflow and Infiltration. 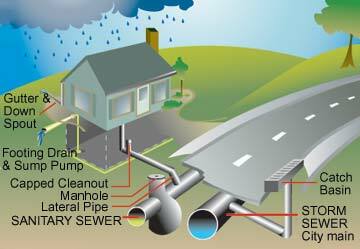 I&I is the process by which clear water enters the sanitary sewer system. In a long-term effort to promote positive community and individual activities to protect the waters of the region, 16 governments and groups combined in 2003 to form the Regional Stormwater Protection Team (RSPT). This “toolkit” includes information associated with a new, comprehensive land planning and engineering design approach that aims to minimize stormwater impacts associated with water quality, hydrology (volume of water and peak flows), water supply, flooding and physical effects. 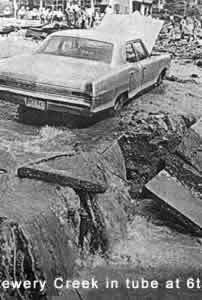 From June 17th through June 20th 2012, record rainfall caused the biggest flooding event ever recorded in the City of Duluth and surrounding communities. Learn more about the "Solstice Flood", including photo and video tours, agency reports, and other flood-related links. Seasonal Story Ideas: Download a database of seasonally -specific story ideas which link weather events to water quality and provide tips for homeowners. Data vignettes: Stream data animations showing examples temperature, turbidity, and conductivity spikes from our data records. This Week In Water: See how that last week compares with the full range of data collected by our sensors. Real-time Water Quality Data: Flow	rates, water termperature, specific conductivity, and turbidty as recorded by Duluth stream sensors, updated every 15 minutes. Watch video tutorials on using and customizing the Data Viewer Tools on LakeSuperiorStreams. Training Modules/Story Ideas: Access high-quality training and on air materials developed in partnership with the AMS, the National Environmental Education Foundation (NEEF), and the EPA Office of Wetlands, Oceans and Watersheds. This Estimator is a simple Excel spreadsheet based tool for estimating the improvements made when septic systems are replaced.